Tucked away in a relatively hidden corner of Icon Village is unassuming “Modsin” restaurant The Quarters. You wouldn’t guess by its plain interiors and bare furniture, but their brand new dinner menu would put even some upscale establishments to shame. Never straying far from his love for Singaporean food, chef De Ming utilises international ingredients, modern techniques, a dash of classical French cooking and deft touches of innovation whilst still staying true to his roots. The result is a tantalising blend of familiar local favourites melded with Western influences to create something deliciously new. So good I’d throw my money at it, the cheekily named Fwah! ($18) is a splendorous marriage of the common and the elevated. 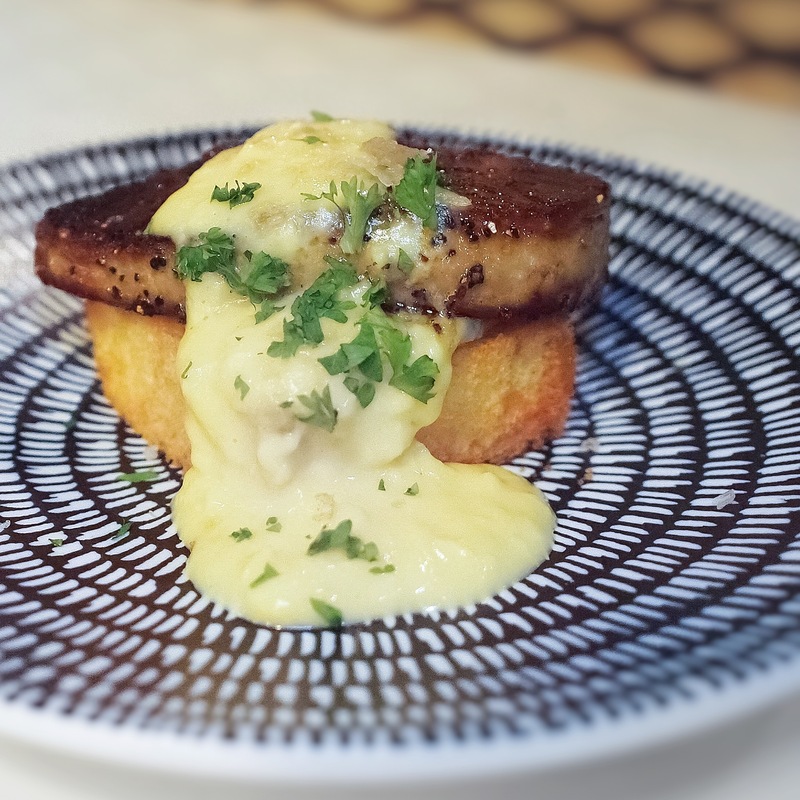 A sublimely seared slab of foie gras sits comfy on a cushion of plush toast spread thinly with house-made kaya so good that I wish there were more of it. A creamy scrambled egg – almost sauce-like in it’s consistency – tops everything for a languorous, luxurious finish. The Quarters — Ooh La La! Unsatisfied with his experiences of oft-times overly sugary and watery chilli crab sauces at tze char establishments, chef De Ming set out to create his own improved version. Boom. Enter the Ooh La La!($16). Striking a fine balance between sweet and vinegary, the mildly spicy gravy is lusciously full-bodied whilst managing to avoid being cloying after repeated mouthfuls. 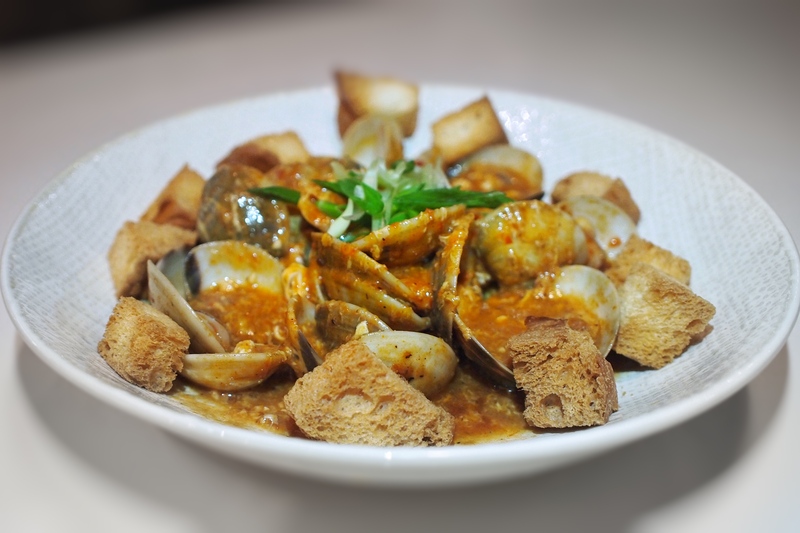 If only the la la clams used were more substantial in size, but that is a minor quibble, because I was too busy using the crispy mantou provided to mop up all that sauce. Nothing says comfort food like fried rice. 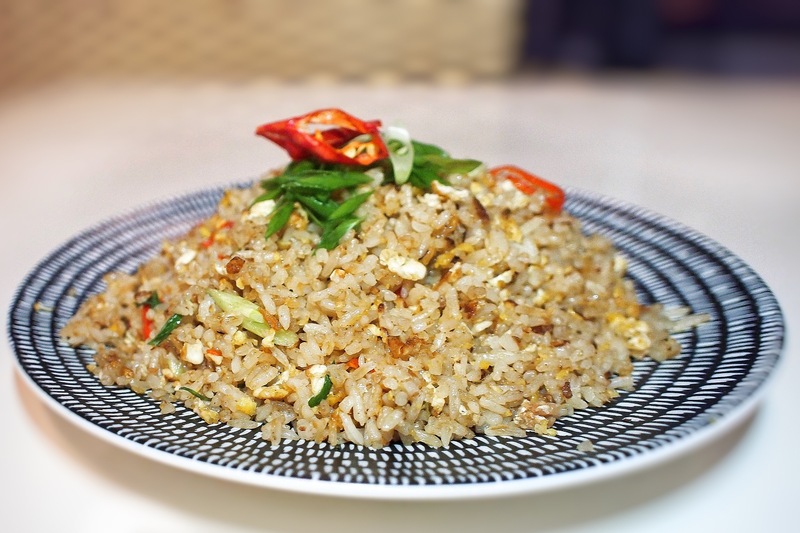 The Quarters’ version of the tze char staple – salted fish fried rice – is equal parts smoky, salty and garlicky, with each and every fluffy grain imbued with flavour. Drizzle some of The Quarters’ signature chilli sauce over The Quarters Fried Rice($14) and this becomes something truly addictive. Buah Keluak Ayam($12). Sometimes all it takes is a simple twist on a classic to make it accessible yet still delish. You get the best of both textural worlds here with crispy-skinned charcoal-grilled chicken on a bed of smooth buah keluak sauce whose distinct taste is still discernable without being overly pungent. Perfect for the buah keluak curious but uninitiated. 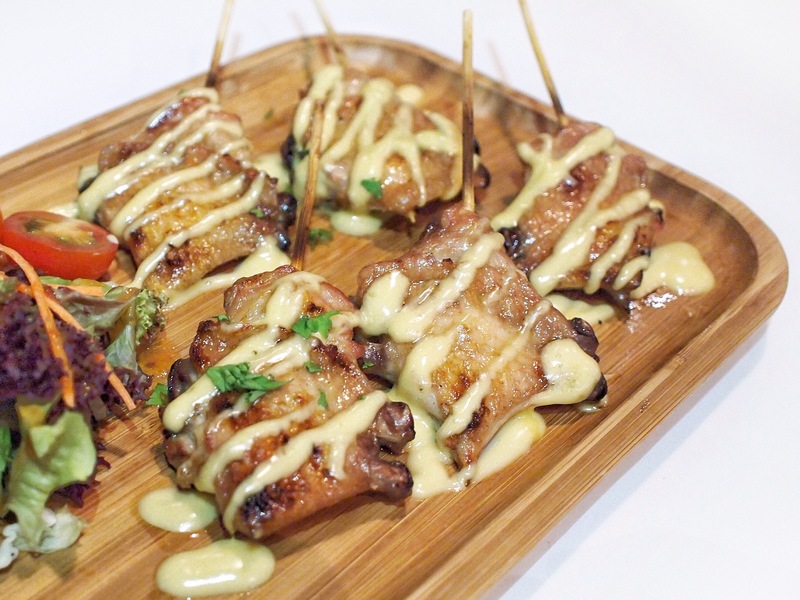 The Salted Egg Mid-wings($12) are tebayaki-esque chicken wings grilled to smoky, succulent perfection, then covered with a pleasantly subtle salted egg sauce that enhanced the protein without overpowering it. Beer food right here. ‘Nai You’ Lobster($68). Surely one of the highlights of our tasting, there was a collective gasp around the table as this beast was brought before us. 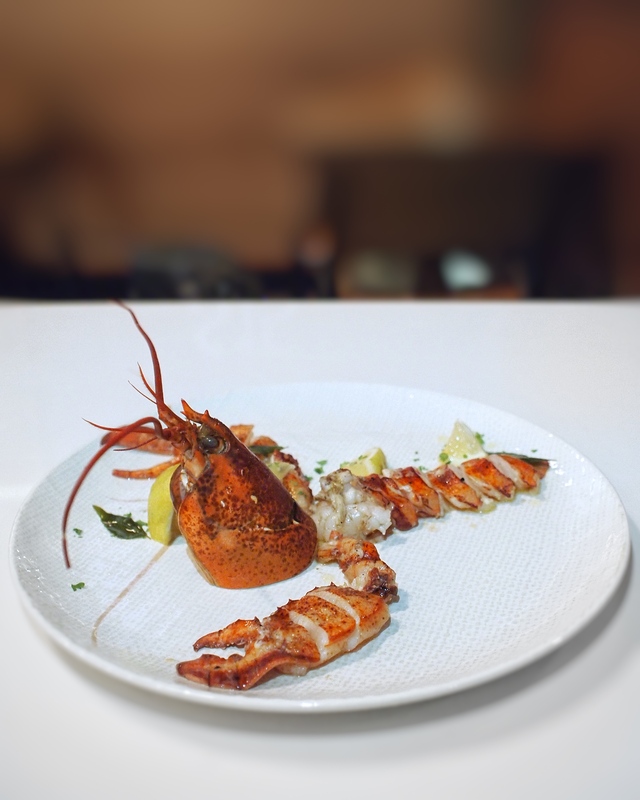 The chef’s skill is evident in every stage of execution – from the carefully de-shelled whole pieces of lobster to the delectably tender and juicy flesh poached to buttery perfection and finally flash-seared on the grill for that barest hint of smokiness. The Quarters’ food philosophy is simple – keep it simple, keep it good. You won’t find any new-fangled techniques the likes of molecular gastronomy or sous vide here. 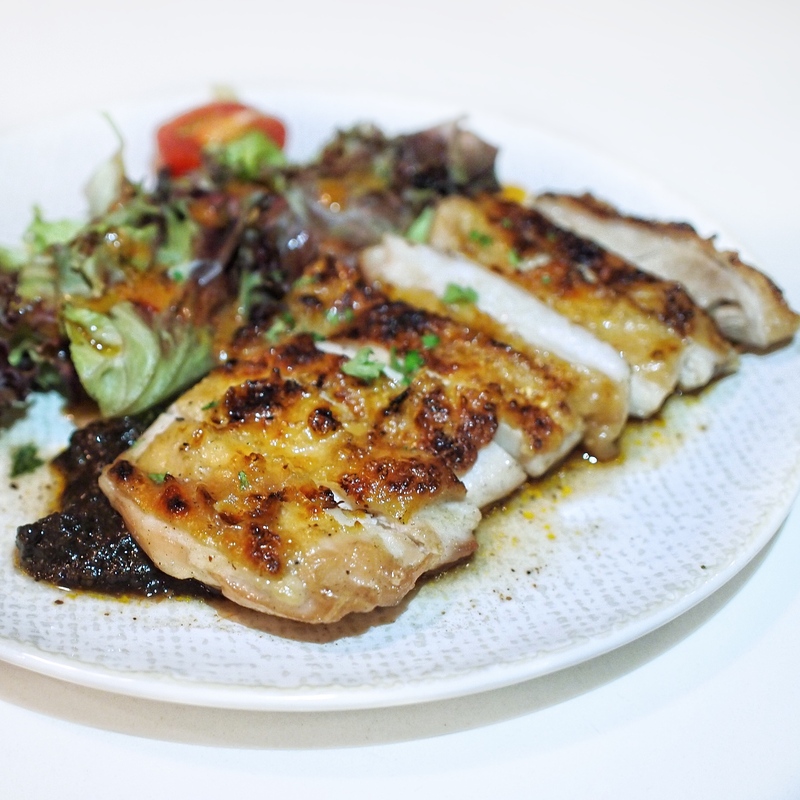 Chef De Ming believes that to bring out the best in steak, it needs to be cooked wholly on the grill. You might be inclined to believe him after trying the Angus Ribeye($38) here. 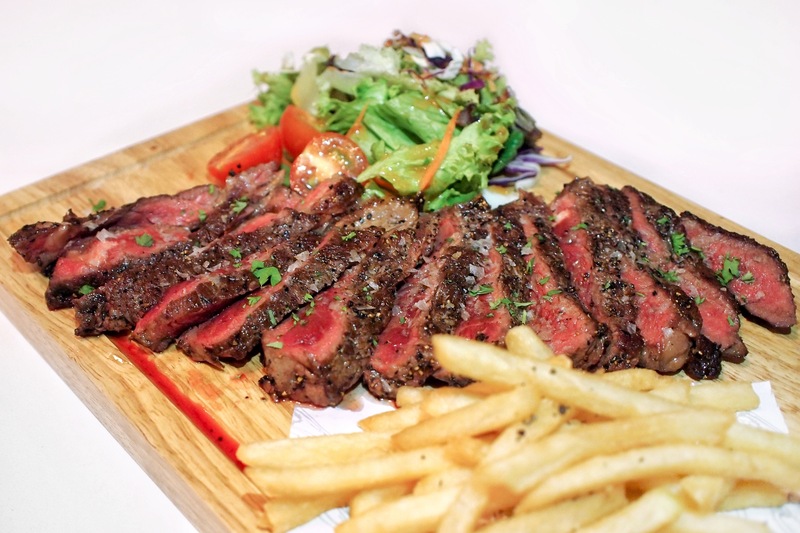 A generous 250g of perfect medium-rare ribeye is fanned out on a plank with crispy fries and salad. Juicy, tender yet packing a bite and charcoal-licked, it’s big enough to share, but you probably won’t want to. You wouldn’t expect made-from-scratch desserts of this calibre at a casual concept eatery, but the pun-tastic “Wonderffle”($13) truly lived up to its name. 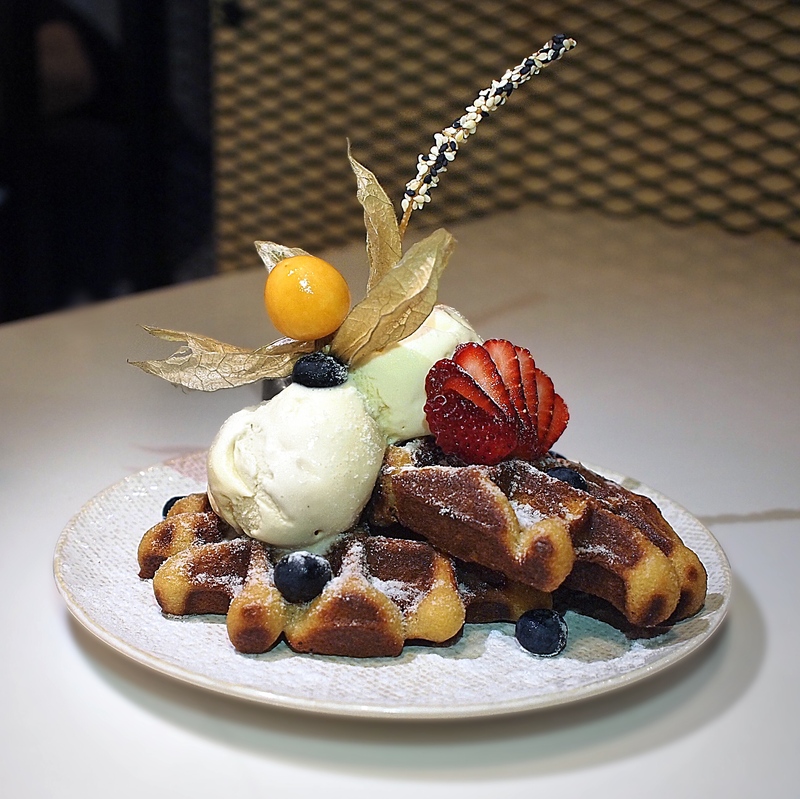 The housemade waffles are wonderful – subtly eggy and just ever so slightly crumbly in their almost cake-like texture. Both ice creams made from Chef De Ming’s recipes were super smooth and creamy, with the perfectly balanced and refreshing lemongrass ice cream having an edge over the mild pandan ice cream. They also do a pretty mean lunch menu with value-for-money rice bowls starting from $10. Pick from local favourites such as Chicken Curry and Beef Rendang rice bowls to more premium options such as Truffle Wagyu with Foie Gras. Even better, early birds who show up before 11:50 AM get a free lunch set top-up that includes hot coffee/soft drink and salad.